The health promotion program is led by two professional health education specialists. 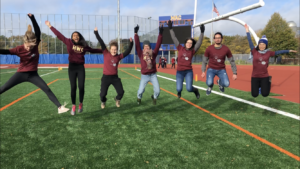 The vitality and energy of the program is enriched by a diverse team of students who work together – offering education and initiatives to enhance the health of their peers. As Macalester students, the student health promotion team offers unique perspectives on their community’s needs and interests. Our main mission is to foster a campus environment in which students feel empowered to make healthy choices for themselves that contribute to their overall personal and academic success. Interested in working with health promotion? Paid positions become available in March. Soniya Coutinho ’19 is a Neuroscience major with minors in Psychology, Biology, and Statistics, and a concentration in Community and Global Health. She is from Plymouth, MN. Soniya works on initiatives related to alcohol harm reduction and mental health and resilience. Outside of Health and Wellness, she loves event planning on Program Board. Hallie Kircher-Henning ’19 is a Political Science and Latin American Studies double major from Madison, WI. Her dream job – an attorney. A fun fact about Hallie is that she is obsessed with pickles. 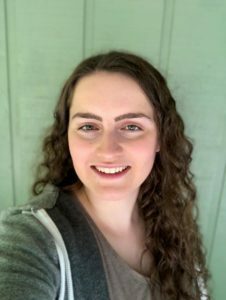 KP Blake-Leibowitz ’19 is a Sociology major with a minor in Women, Gender, and Sexuality Studies. KP is from Madison, WI. Dream job – working with queer and trans youth to foster different types of learning through outdoor education! KP loves to cook and is always looking for new recipes to try. Malia Becker ’20 is a Geography major with a Community and Global Health concentration. Malia is from Corvallis, OR. Malia’s dream job – anything in the public health field that combines policy and fieldwork and allows her to work with people! Fact – she loves to bike and run in the rain; actively seeking out rainstorms to run in. 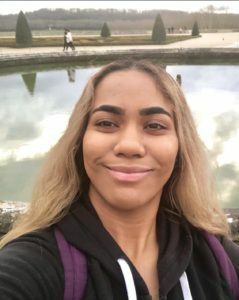 Jadie Minhas ’20 is an International Studies and Political Science double major from Philadelphia, PA. Her dream job – to work in the government one day. A quirky fact about Jadie is that her arms bend abnormally, they can go past their breaking point with no issue. Hyper-extension! Tulsi Patel ’20 is an Environmental Studies with Food, Agriculture, and Society Concentration from Los Angeles, CA. Tulsi’s long-term dream job is owning a farm in California and opening an experiential-based environmental school on the farm. Tulsi is the name of a holy Indian basil that is used in many homeopathic remedies… it was destiny that she work with health and wellness! 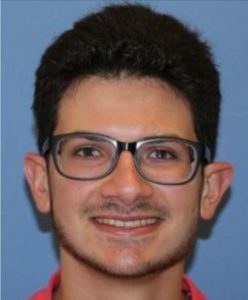 George Kidess ’21 is a Neuroscience major from Amman, Jordan. Dream job – physician. Notable facts about George is that he loves music, playing piano, and singing in choir. 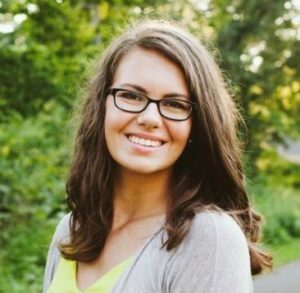 Brooke Offenhauser ’21 is a Neuroscience and Psychology double major on the Pre-Med track who is from Cottage Grove, MN. Dream job – neurosurgeon. Quirky fact about Brooke is that she collects quarters. Carina Ramorino, ’21 is a Psychology major with a Anthropology minor who hails from San Francisco, CA. Dream job – clinical psychologist for the military. Carina’s a big fan of the Mighty Morphin Power Rangers. 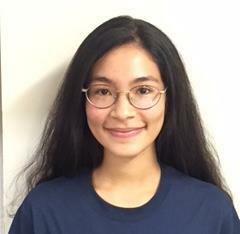 Mona Reddad ’22 is our first-year student who is from Kaohsiung, Taiwan. She is not sure of her major, yet – but leans towards neuroscience. Dream job – us at Health Promotion! She is also known to dance in her own fun and quirky way.